Kenny attended Huntington East High school in West Virginia. He also attended distribution classes at Purdue University. He has a master plumbing license and over 27 years of experience in this industry. Kenny really knows everything about the business, inside and out. 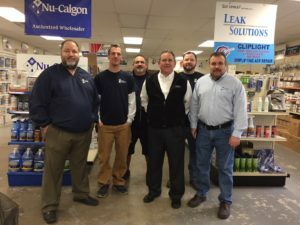 He started in the warehouse, worked his way up to the counter, then become a purchasing agent, and eventually went into outside sales before becoming a branch manager. One aspect of this industry that he loves is that every day is different and there is always a new opportunity to learn. His favorite hobby is boating.